"Where Customers Become Our Friends"
We are an independently family owned & operated establishment (Since 2008), not affiliated with ANY other business. We shop for and purchase the freshest & highest quality ingredients to serve you the finest product. We rely on our time proven "Old World" traditional recipes, which are executed with a contemporary twist to satisfy your palate and fulfill todays awareness for a healthy choice. 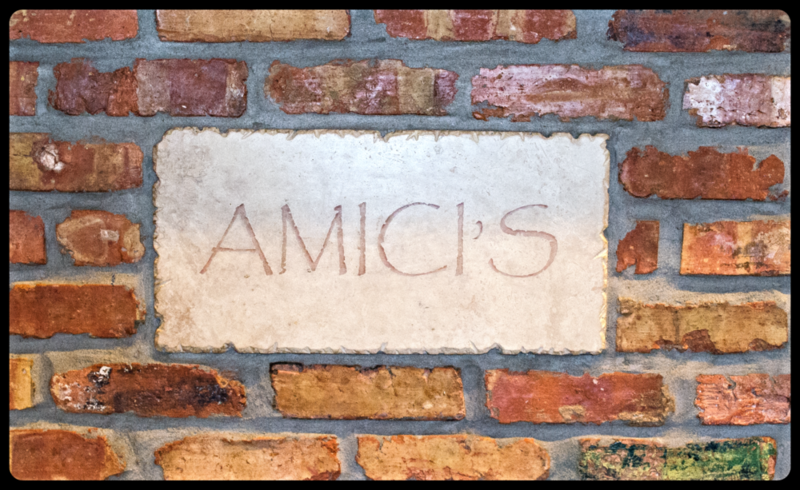 Amici's Pizzeria-Cafe Resturant was nominated "Best Pizza In Town; By You"
Ordering Online through the Amici's New Mobile App now available ! Each week we have a delicious new special offered from 4-9pm thats sure to please! One of the few restaurants in Florida using Tom Jenkins BBQ Sauce! This now Award-Winning BBQ Sauce makes Amici's wing irresistible! Delicious and affordable options available above. Ideal for Holidays, Showers, Corporate Events, Birthdays, & More.